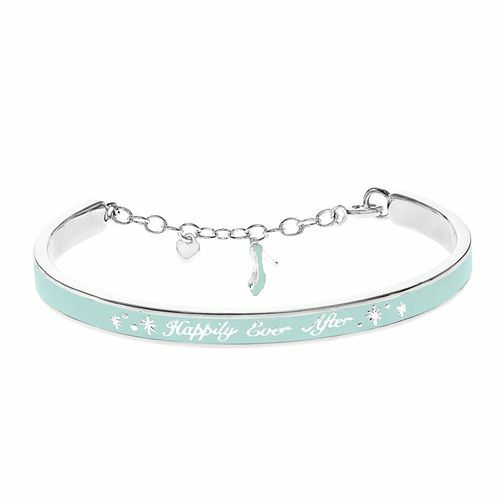 Show your little ones the magic of Disney with this Cinderella-inspired Happily Ever After semi-bangle. This bangle features a sterling silver band decorated with beautiful blue enamel and a sterling silver Cinderella slipper charm and sterling silver heart charm dangling from the link chain, making this bangle the perfect gift for a little princess in love with all things Disney. This design is exclusive to H.Samuel and each piece comes with its own beautiful Cinderella gift box and bracelet pouch.